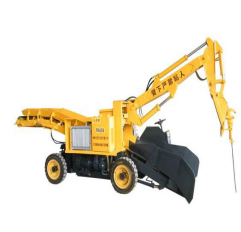 Product categories of Mucking Loader, we are specialized manufacturers from China, Mucking Loader, Mucking Machine suppliers/factory, wholesale high-quality products of Mining Equipment R & D and manufacturing, we have the perfect after-sales service and technical support. Look forward to your cooperation! 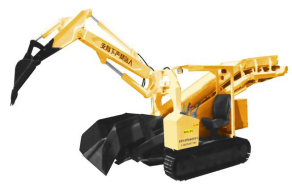 The Mucking Machine could apply in the tunnel excavation, mining engineering, water conservancy projects and other projects of construction machinery and small section water diversion hole, mining slag (mine) machine, the machine is mainly used for some narrow production space and small scale of phosphate rock, metal, non-metallic mineral of gravel soils of explosion dangerous mines, such as the collection and transportation loading construction.